With a Griswoldian vision of the holidays, this is the season many people climb ladders, crawl on rooftops and add a little twinkle to their homes. But, before you lumber up a ladder, it might be wise to take heed of what emergency department doctors know all too well; holiday decorating and ladders can be hazardous. 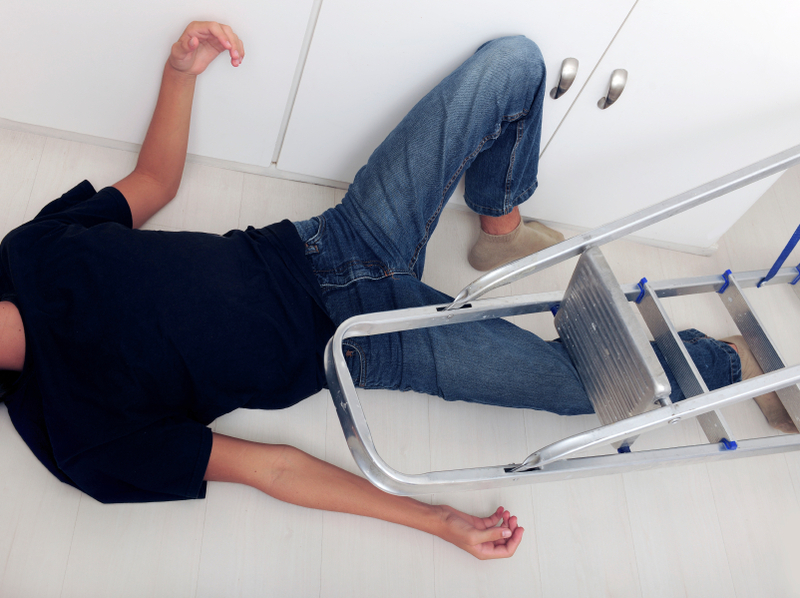 Statistically, the first and second most common traumatic injuries in our emergency department are falls from heights and motor vehicle accidents. We see over 150 falls each month; of which approximately thirteen of those admitted to our ED are classified as major traumatic injuries. While each of us is at risk for tripping and slipping, especially during the winter months, emergency visits due to falls are a year round concern. According to the Centers for Disease Control and Prevention (CDC), one out of every five falls causes a serious injury such as broken bones or a head injury. More than 95 percent of hip fractures are cause by falling, usually by falling sideways and falls are the most common cause of traumatic brain injuries. Most falls are preventable. Contrary to what some may think, aging itself does not cause falls. However, some issues, commonly associated with aging, can increase an individual’s risk for falling. For those whose struggle with balance, strength or vision concerns, Southeast Idaho Public Health Department offers a Fit and Fall Proof program. When taking any medications, it is important to discuss usage and side effects with your physician. And for everyone, be proactive and identify and address environmental risk factors. As we gather together to celebrate the season of snow and the holidays, we at Portneuf Medical Center wish everyone a safe season and encourage fall awareness and prevention.